Walsall to join West Midlands Combined Authority | The Bloxwich Telegraph – incorporating The Bloxidge Tallygraph and Walsall North News. Founded 2006. 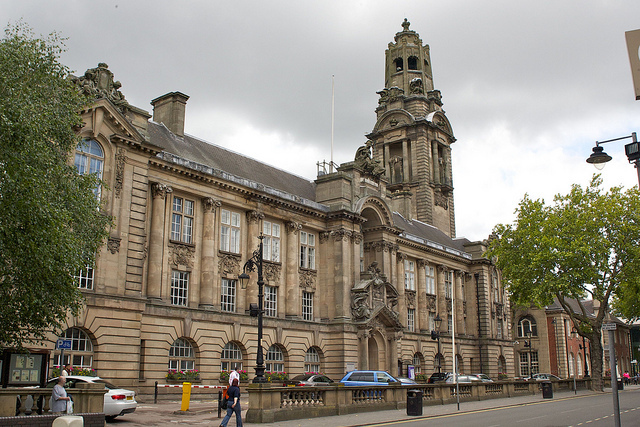 Walsall Council has voted in favour of joining the West Midlands Combined Authority. At a special council meeting on Monday 19th October, 43 councillors supported the Cabinet’s recommendations for Walsall to become a full constituent member of the Combined Authority. Six voted against, with 4 abstentions. In doing so, Walsall joins Birmingham, Coventry, Dudley, Solihull and Wolverhampton local authorities as constituent members, and various local district councils and the three Local Enterprise Partnerships (LEPs) as non constituent members in forming the WMCA. Sandwell were expected to vote on whether to join as constituent members on Tuesday 20th October. Combined Authorities are legal bodies with powers of decision making granted by Parliament and are a new way for local authorities to work closer together on key strategic functions that cross geographical council boundaries. Members also approved the Governance Review and Scheme which sets out the options for collaborative working and how the Combined Authority will operate and received an overview of the engagement outcomes which took place in August and early September. Walsall’s stakeholders and partners had been contacted to help them better understand the role of the WMCA. Following Monday’s YES vote, Councillor Mike Bird, said: “Members have seriously considered the proposal in great detail and have approved for Walsall to be part of the West Midlands Combined Authority. “This was too big an opportunity for us to miss, to be part of the biggest combined authority in the country. It’s a sensible way for us to organise ourselves. “There are no geographical boundaries for transport and business and we already work with our neighbouring colleagues anyway but this formalises these arrangements. When officially formed, the WMCA will continue its discussions with Government over devolving powers – including an investment programme, and local transport and housing powers – to the region. Previous PostLeamore & Area Community Group seeks membersNext PostSpooky time at Goscote Greenacres this Halloween!